Notes: This school is not shown on the 1861 plat map but is on the 1873 map. 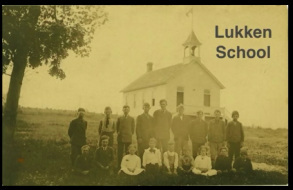 No historical description of Lukken School seems to exist in township or church histories. 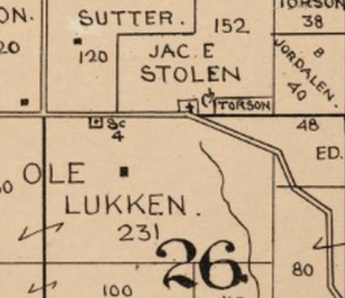 However, the “The Family History of Hendrick Jelle” refers to Lukken School as early as 1852 located on Ole Lukken’s farm. In 1852 it was used as a church as well as a school until the east Blue Mounds Lutheran Church was built across Barton Road. The records of the Treasurer of Blue Mounds School District #4 (Lukken School) shows the final ledger entry dated July 15, 1965 after which the school was closed and the children were sent in to Mount Horeb. 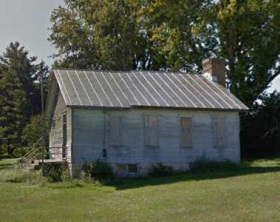 In 2014 the building remains on the original site directly across from the East Blue Mounds Cemetery at 9921 Barton Road. It appears untouched by man or paint brush since 1965.